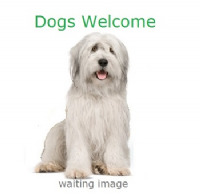 If you Love Devon & love dogs, then you'll love our range of holiday accommodation. This area has some great scenery to view and some of the best dog friendly holidays and pet friendly accommodation to choose from. You no longer have to find a boarding establishment to leave your dog at, now the whole family can enjoy a holiday in South or North Devon. We do all the hard work so you don't have too! We specifically promote only dog friendly accommodation with a range of features like; enclosed garden or exercise area so dogs can run around off lead, water hose should dogs get a little muddy, how about a warm wood burning fire for cosy nights in. Some properties have walks right on the doorstep. We have 39 Devon Holidays that welcome pets for you to look at. 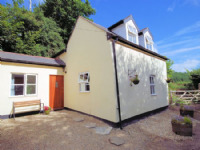 Dog Friendly Self-Catering Cottages in Kingsbridge South West. 7 cottages to choose from. Self-catering Cottages near Dartmoor that allow dogs. Selection of stone built cottages near Tavistock. 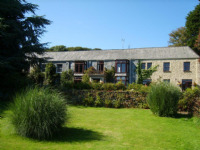 Set amongst the foothills of the spectacular Dartmoor National Park and the abundance of nature. various cottages. dog friendly, cat friendly. 3 Bed, Sleeps 7. dog friendly, cats small caged animals considered. 2 bed Self-catering Bungalow - sleeps 4. 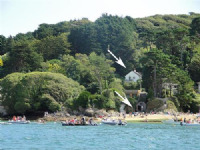 In an idyllic position overlooking the River Dart Estuary in a designated area of outstanding natural beauty. Holiday caravans for hire, dogs allowed Just a short walk from one of Devon's finest beaches. The entertainment is fantastic and you won't need to drive anywhere in the evenings when wining and dining. Bed & Breakfast 3 bedrooms - The Oratory B&B lies in the heart on Dartmoor National Park in the Village of Princetown. Walks/Pubs straight from the door. 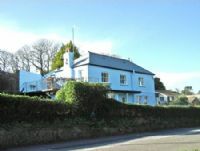 B&B - The Firs is a pet friendly, family run Guest House suitable for either a holiday or business trip to Plymouth and the surrounding areas - ranging from Dartmoor to Land's End. Well behaved dogs welcomed at the firs guest house and we do accept cats. Comfortable, well-furnished bedrooms some of which are with en-suite toilet and shower. 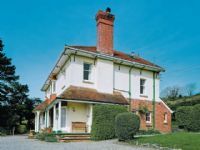 Sundene House is a pet friendly Bed and Breakfast. Our guests rank our former Edwardian gentlemans home as the Number 1 B&B on Tripadviser! Our spacious suites are available as double,single or family rooms. Your double bedroom adjoins a private sitting room which can accomodate two more people-ideal for families or friends sharing. The Two Bridges Hotel Dartmoor, Devon. Situated directly on Paignton Seafront and also face on to Torbay Park where dog owners (including the hotel managers) regularly exercise their dogs. It is only a short walk to the town centre. We are family owned and dog friendly and no doubt you will adopt us as your second home by the sea in Devon. Seafront Loaction | Short walk to Town | Disabled Accessible. Sorry no large breeds. Hotel - Situated in the leafy lanes of Chelston, a charming and tranquil area of Torquay providing village shops and identified by its large red-stone Victorian villas.